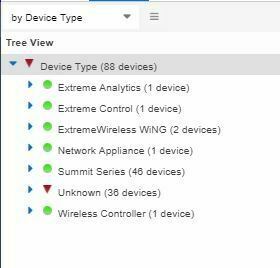 Is it possible to add new device types in OneView? Where do I have to put the MIB files ? At the window server there is a file called myDeviceTypes.properties. This has to be edit for new device. I'm working now with an appliance. Where can I find this file? Is it still there? Mentioned a problem. But the article is one year old. In version 8 you should use Vendor Profile feature instead of myDeviceType.properties. but Vendor Profile is a beta feature in 8.1.3.65 isn't it? There are two parts of Vendor Profiles. Administration -> Vendor profile = this is beta feature where you can do a lot of customization. What you need is not a beta feature = device -> edit device -> vendor profile. This menu is limited and is not beta. Glad it works for you Good luck. information via Extreme Management Center. as Pala wrote there are two ways to change Vendor Profiles. The full access is Beta and you have to enable the "Beta Feature". But there is a easier way to add only a new device. "Devices->right mouse button to the device->Device->Configure Device...->Select "New Vendor Profile"
Are you using version 8.1.3.65 of XMC? I have an additional tap right to Ports called "New Vendor Profile"
Yes I am using 8.1.3.65 of XMC.